This is generally the most common use case and is what I recommend customers to do. Luc’s script covers a lot more use cases so there is a lot more code in there that you won’t need for this situation. So let me boil down the PowerCLI to the basics. 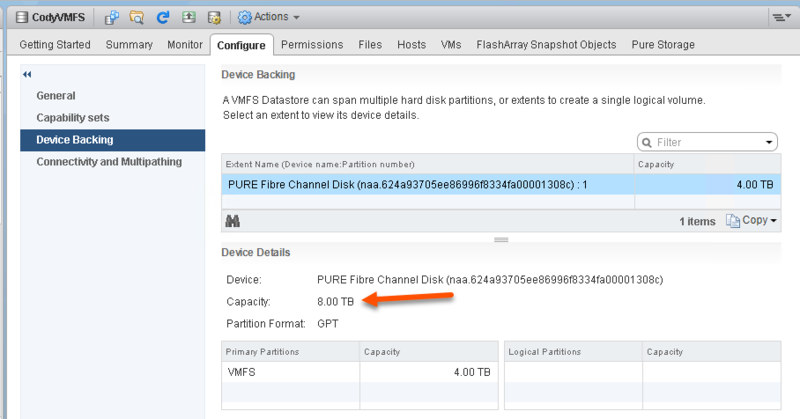 So now we have a 4 TB VMFS that sits on a 8 TB volume. So let’s use PowerCLI to expand the datastore to use the full 8 TB. After connecting to vCenter, use get-datastore to get the datastore object. 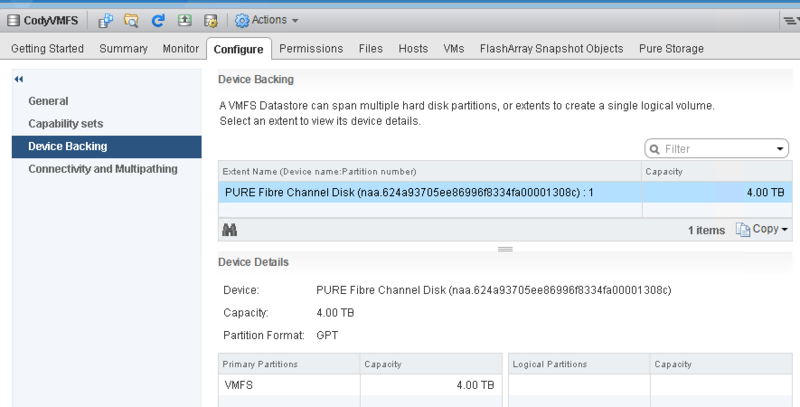 This will expand the VMFS! 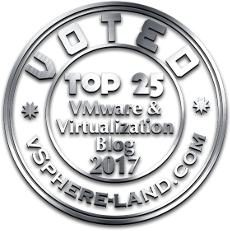 Does this typically require a rescan of the HBA/VMFS?